Dimensions 0 by 6.69 by 9.45 in. Amazon.com description: Product Description: This volume explores the interplay between critical theory and philosophical anthropology. After decades of reciprocal misgivings, the time has come to systematically examine the commonalities and differences between these philosophical approaches with respect to such fundamental concepts as the person, society, nature, and history. 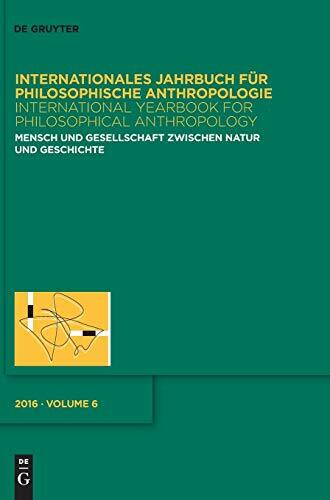 With Thomas Ebke (other contributor), Frank Mller (other contributor), Sebastian Edinger (other contributor) | from Walter De Gruyter Inc (January 30, 2017); titled "Mensch Und Gesellschaft Zwischen Natur Und Geschichte: Zum VerhÃ¤ltnis Von Philosophischer Anthropologie Und Kritischer Theorie"
About: This volume explores the interplay between critical theory and philosophical anthropology.